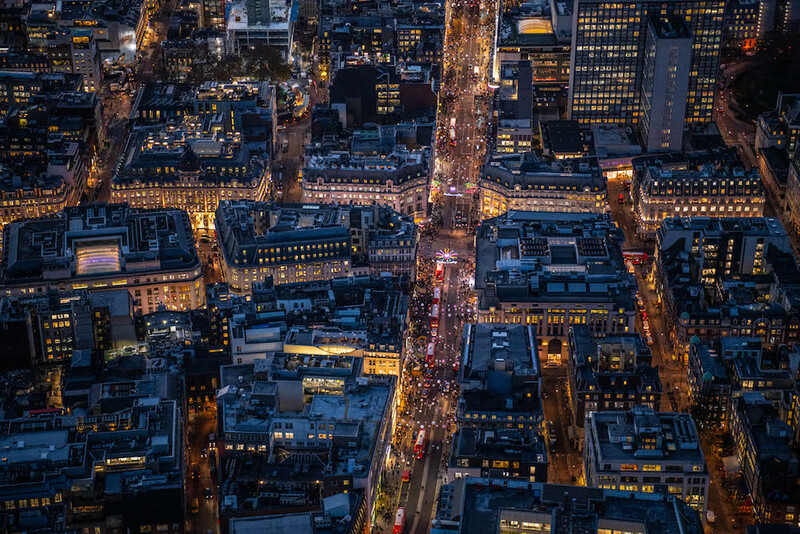 These stunning photos of London from above show us just how magical the city is at Christmas time. 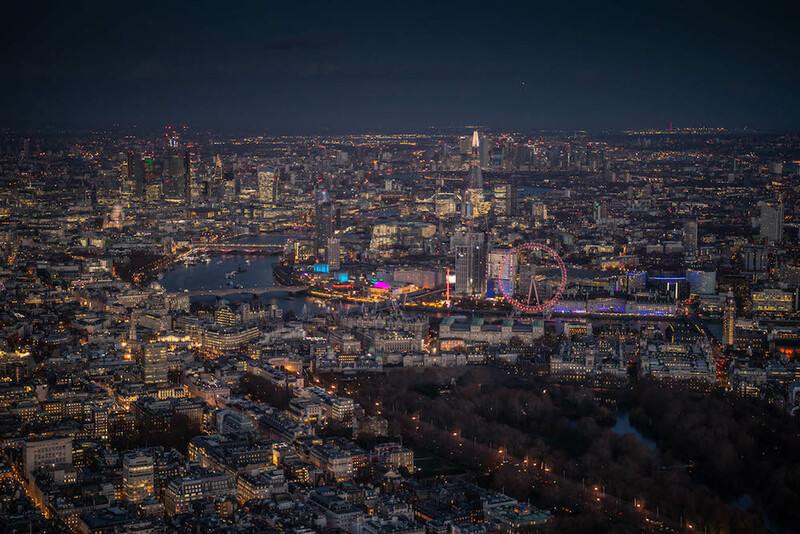 Capturing the city’s most striking buildings after dark, as well as some of the best Christmas lights displays, these sixteen photos feature Hyde Park Winter Wonderland, Oxford Street and Regent Street, and the year-round magic of the City at night. 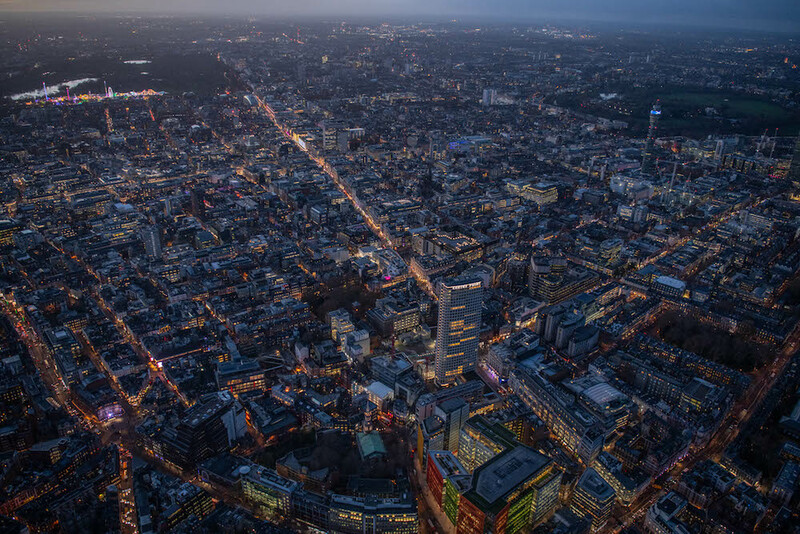 And seriously, it’s pretty clear that London is even better looking when the sun goes down. These particular photos were taken by photographer Jason Hawkes over the past couple of months, in the lead up to the festive season. 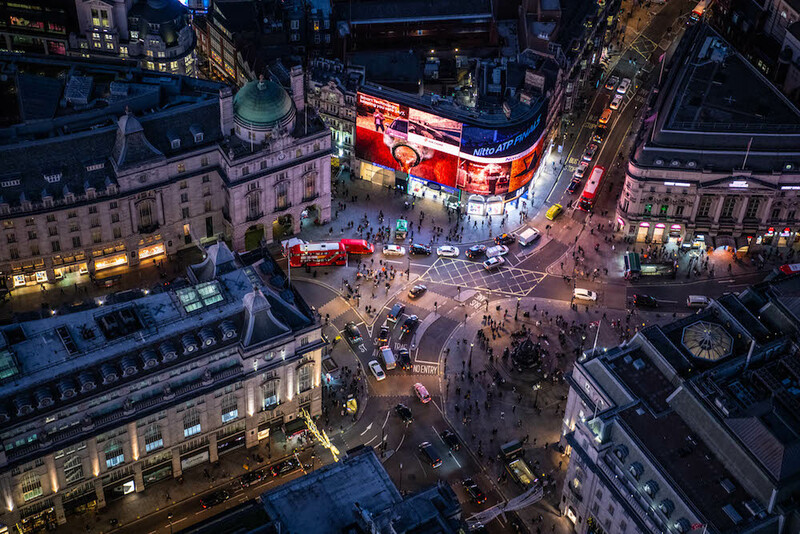 However, Hawkes has been taking aerial shots of London for over two decades. He takes them while leaning out of an AS355 helicopter, which is both courageous and absolutely worth it. You can see more of Jason Hawkes’ photography over on his website, his Twitter account, or you can follow him on Instagram here. 1. 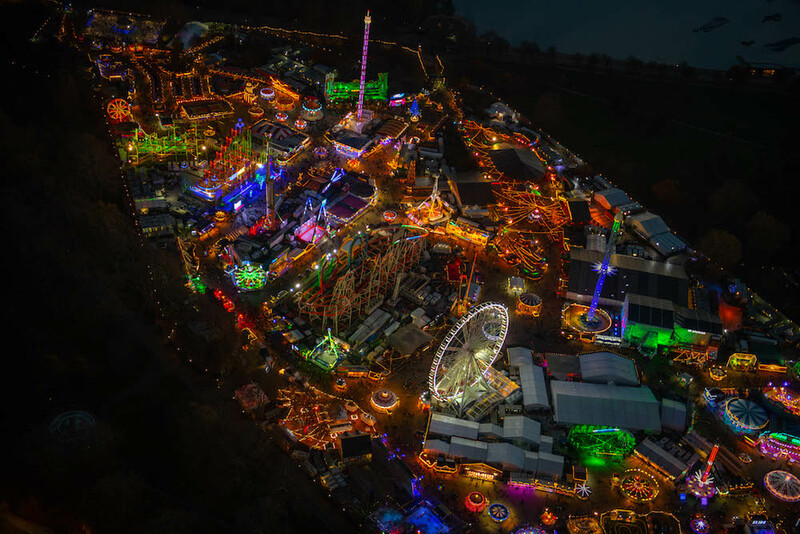 Winter Wonderland in Hyde park at night. 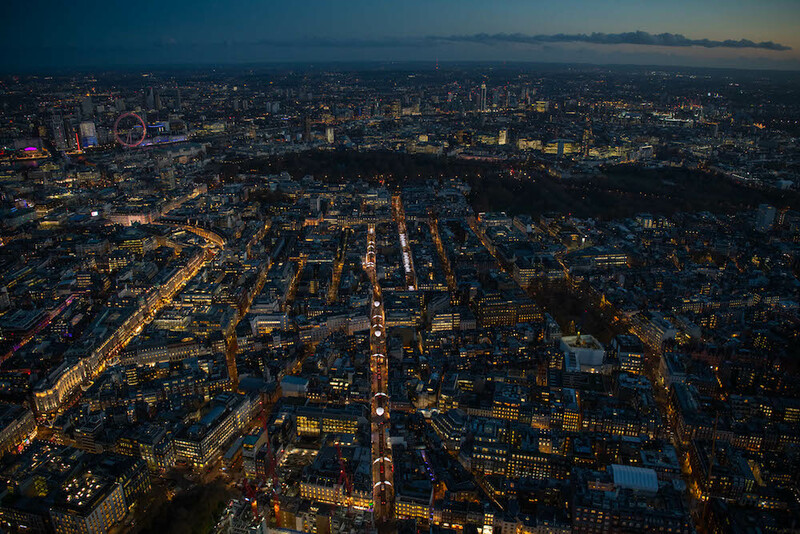 Western Europe’s highest festive light display has returned, with the new theme of ‘reflections’. 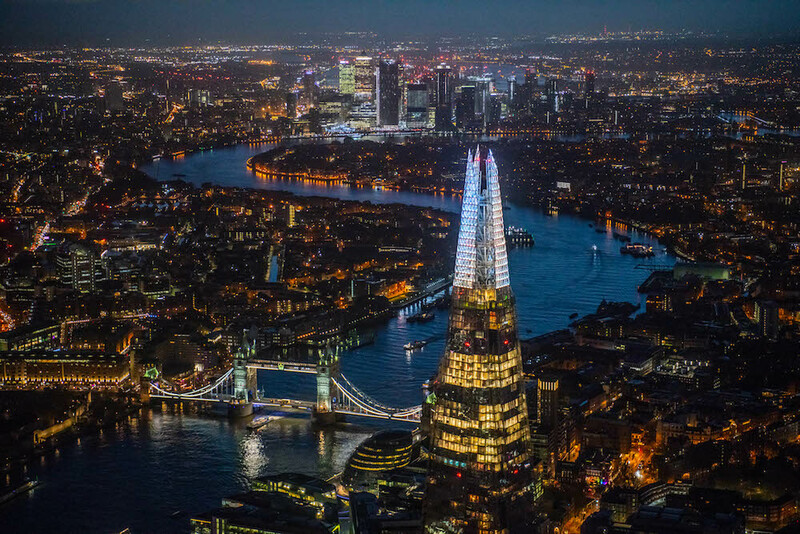 When The Shard’s beautiful display switches on in the evening, the top 20 storeys of the building will mirror the colour changes of the London sky. Read more about it here. 3. 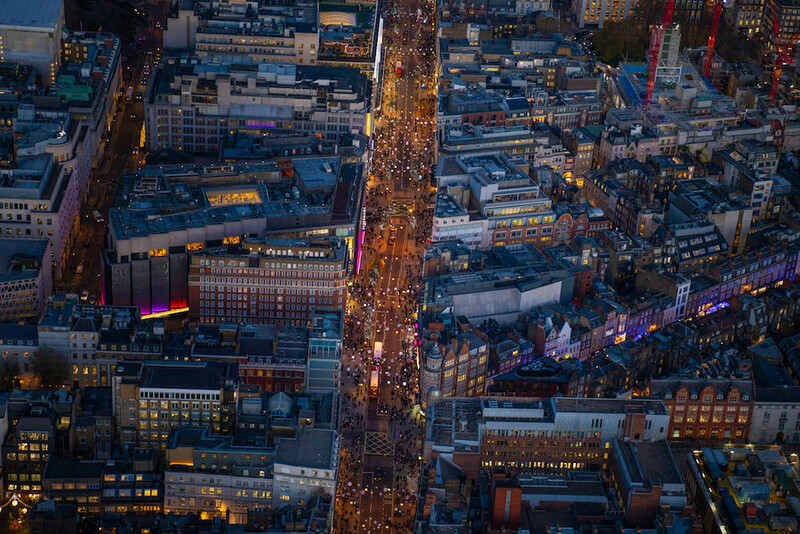 Looking down at Oxford Street. 4. 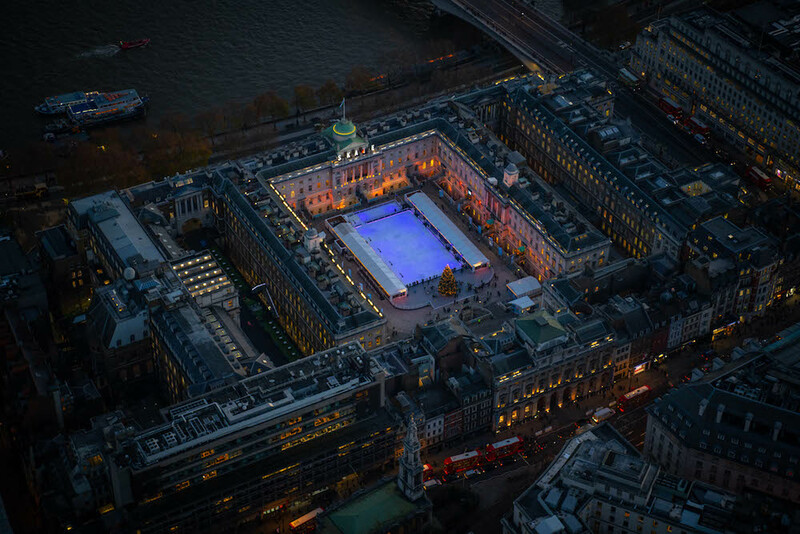 The ice rink at Somerset House. 5. 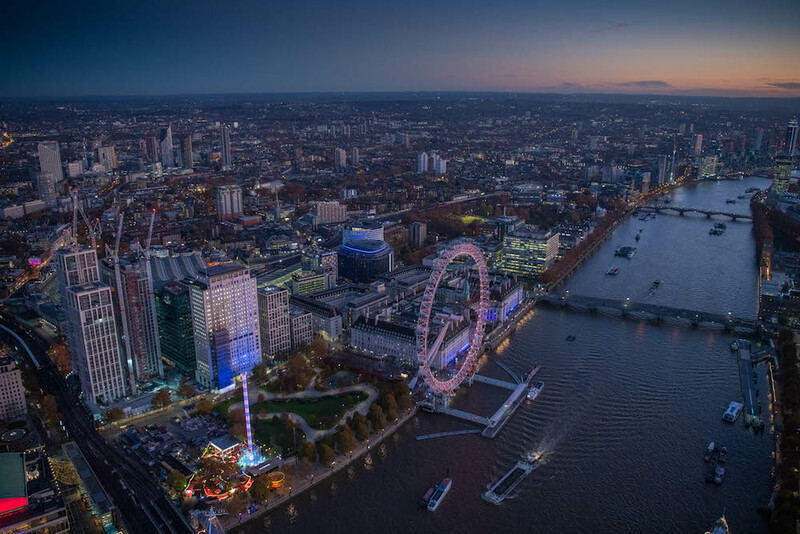 A fairground, Jubilee Gardens and the London Eye on the Southbank. 6. 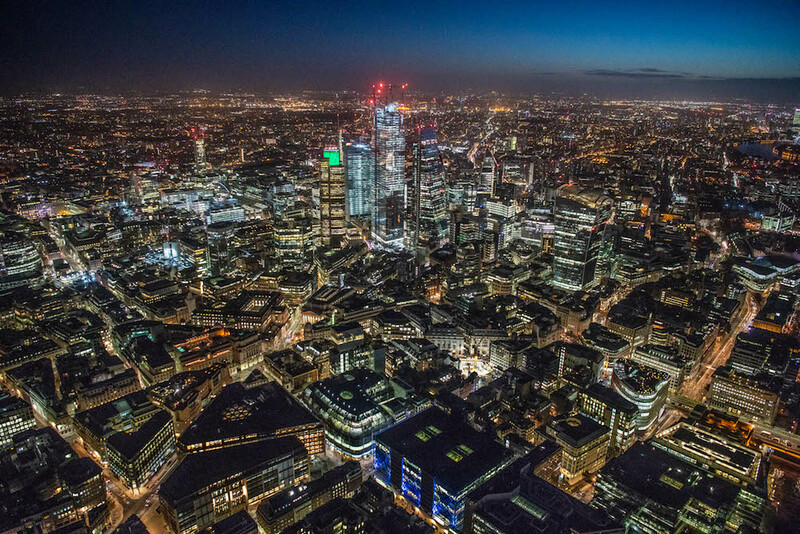 Aerial view of the City of London at dusk. 7. View over St James’s to the South Bank. 8. 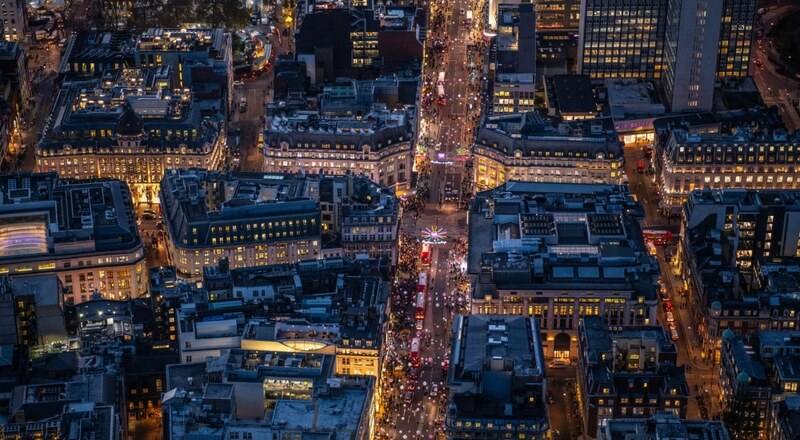 The Christmas lights on Oxford Circus and Regent Street. 9. 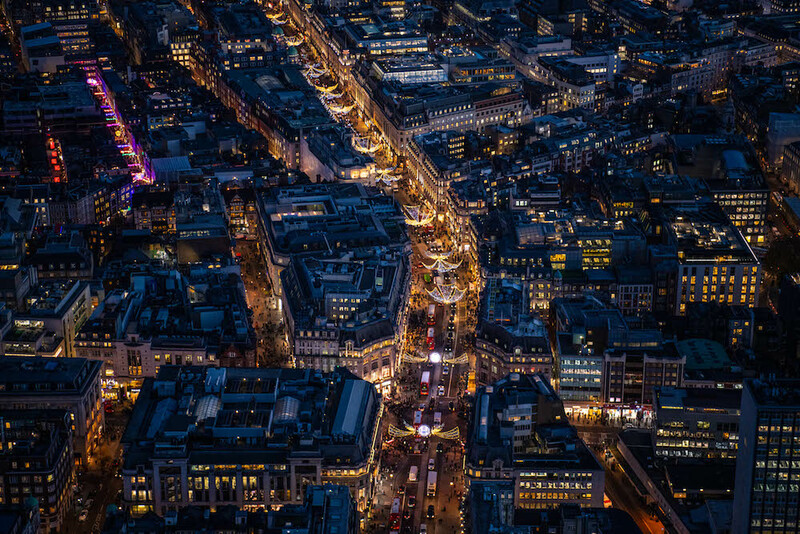 Christmas lights on Oxford Street. 10. Spot the Centre Point! 11. 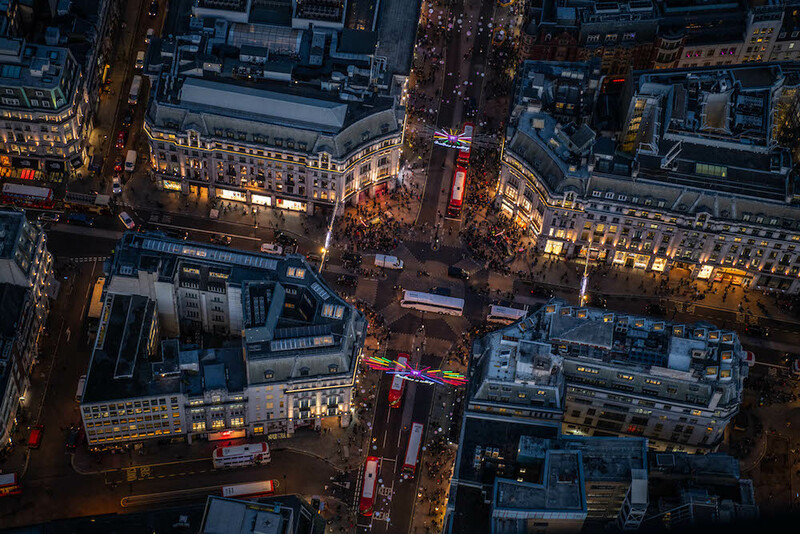 Shoppers and commuters at Oxford Circus. 12. 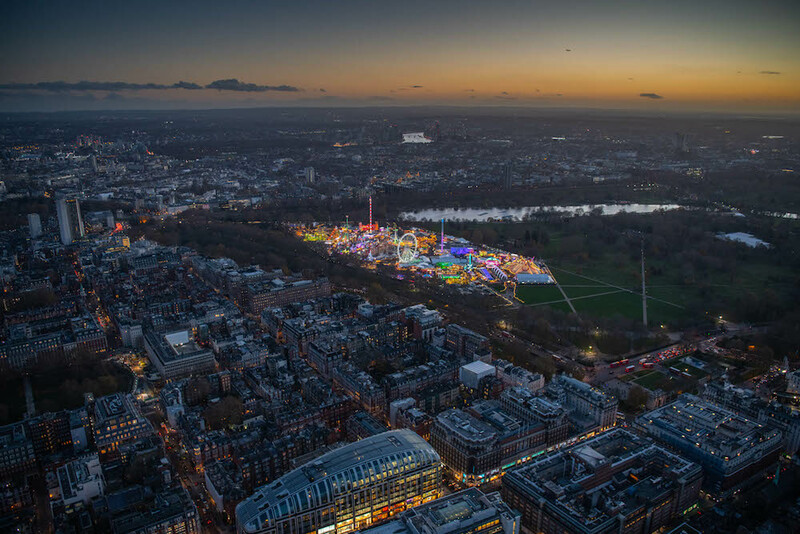 Looking from Marble Arch over to Mayfair and Hyde Park (ft. Winter Wonderland). 13. 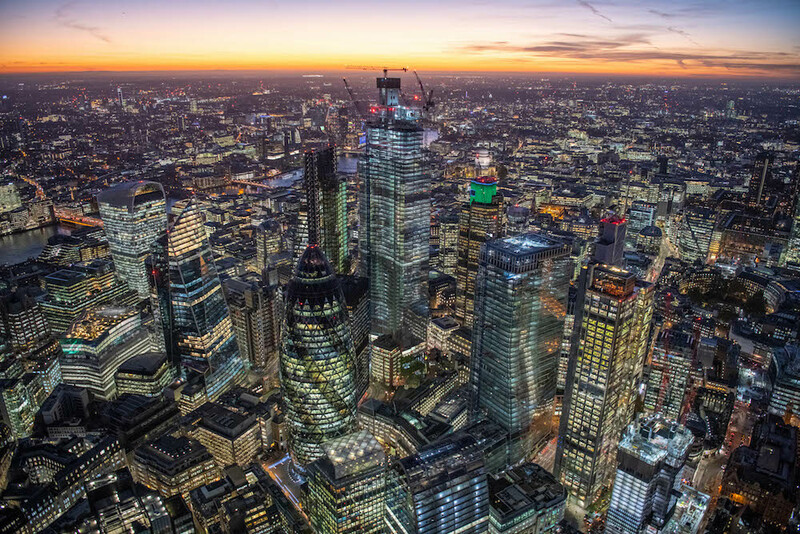 Bank and the City of London at dawn. 14. 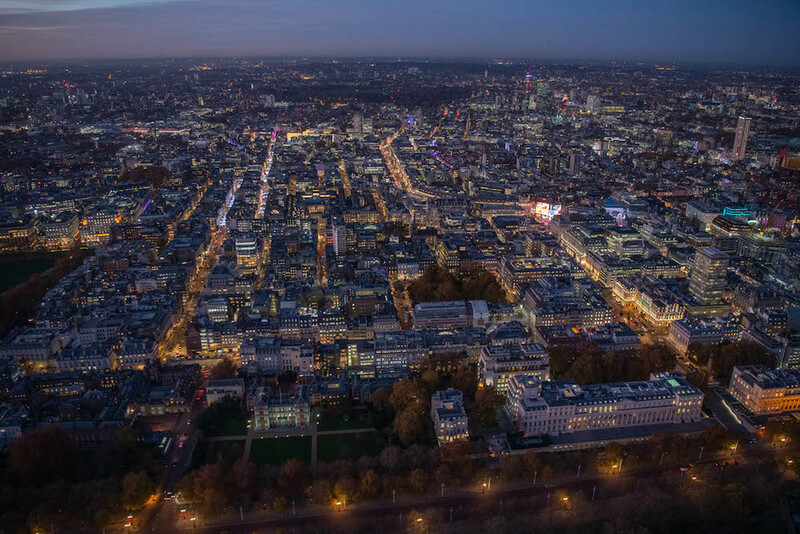 View from the Mall, to St James’s and Piccadilly. 15. New Bond Street in Mayfair.